Using an Arizona Sun Control Products rolldown shade, you can change the way your home looks. These shades can serve multiple purposes. They're flexible and can be fitted above or below an opening and are very convenient to use and operate. Rolldown shades also control the amount of light entering an opening, ensuring the room is as comfortable as possible. 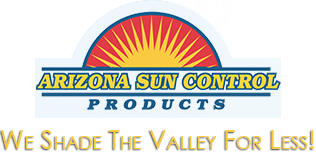 Arizona Sun Control can help you customize materials, shades, and density to ensure the proper amount of shade coverage. For instance, a dense fabric and dark color will filter light out completely. These shield the interior of the area from bright light and heat. Lighter colors in allow for a moderate amount of light without the glare of direct sunlight. By helping control the natural light and heat, you can save on your utility bills. You can choose from a full range or fabric colors, motorized or manual options are available to meet your specific needs.